Ultra Reflect Photo Real Reflective Signs are an exciting development in scale signage. All Ultra Reflect signs are truly reflective. When lights shine on each scale sign, they reflect light back to the viewer in exactly the same way real traffic and directional signs show up in dimly lit conditions! PR 7000 is designed to fit HO-scale (1/87) that hobbyists like scale train enthusiasts expect. Printed in high-definition, Ultra Reflect offers incredible detail in brilliant color. 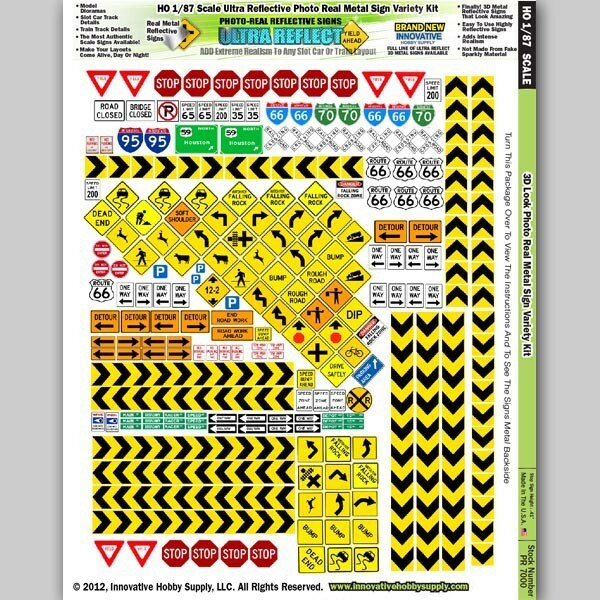 All signs come with a real aluminum backer and look identical to real traffic / directional signage. 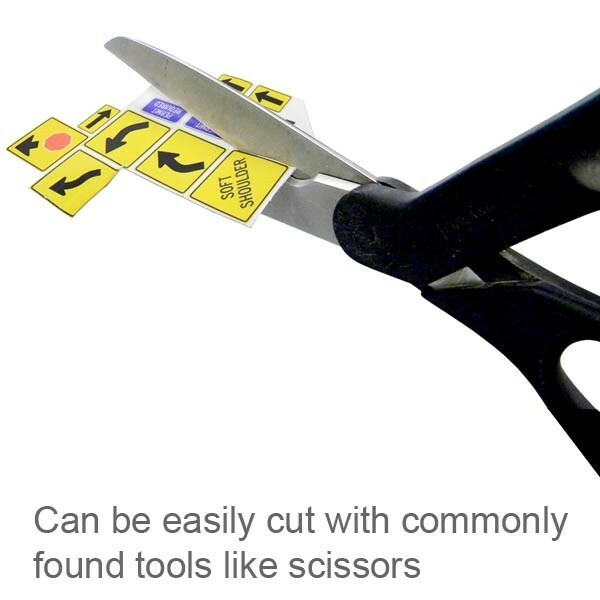 They are easily cut with common tools like scissors. 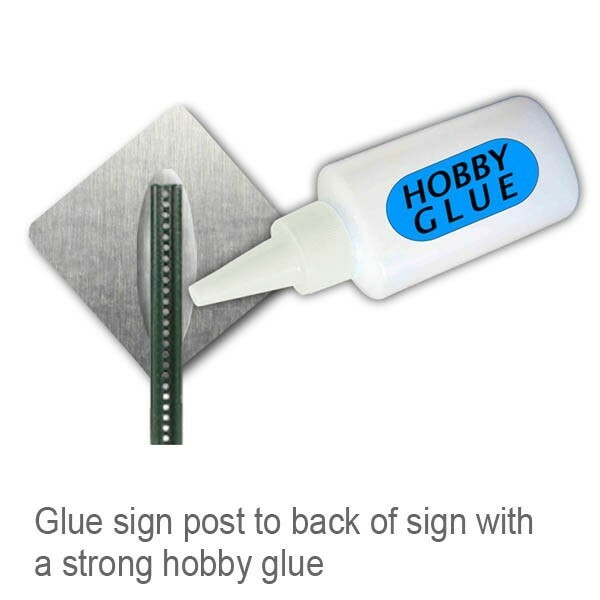 Ultra Reflect Photo Real Reflective Signs are perfect for slot car / train track layouts, or scale model dioramas.